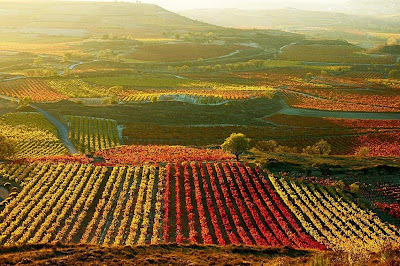 PICTURE YOURSELF IN RIOJA. You are on holidays and a whole week of experiences lies ahead. 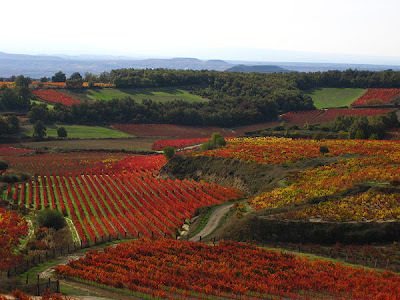 What can you do and see, where should you absolutely go, what are the "musts" for your first stay in Rioja? Day 1-Arrival. Land in Bilbao or Logroño. Bilbao is the nearest international airport, merely 1 hour and 15 minutes away from Casa Josephine (highway). There are direct flights to Bilbao from most European airports. If you are flying from America or elsewhere, you will land first in Madrid or Barcelona, from where you can fly to Bilbao or Logroño (25 minutes from Casa Josephine). Guggenheim Museum in Bilbao is an absolute gem for architecture and art lovers. 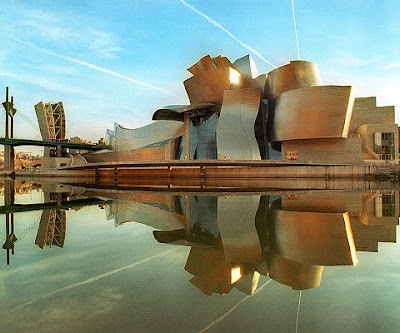 Frank Gehry simply changed the looks and the course of history for the city of Bilbao, which was dull, grey and unfriendly before the Museum existed. Please note: the restaurant at the Museum is outstanding. 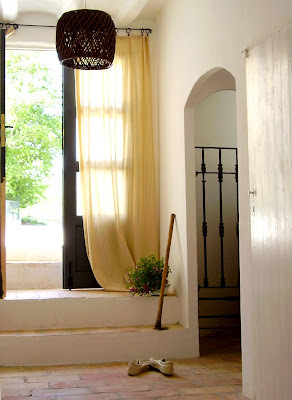 Check-in at Casa Josephine and relax. We will meet you at the house with a bottle of red Rioja (how else?). Believe us: there is no better way to start your holidays. Dont plan anything for today. 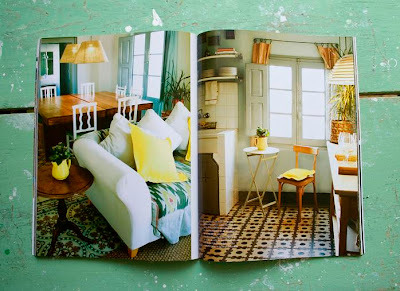 Just take a break and enjoy your leisure at Casa Josephine. Linger in bed, chat with the neighbours, walk in the hills around the village, read, try cooking a local recipe....experience the pleasure of the slow life. Time is luxury. Day 3- Wine and wineries. 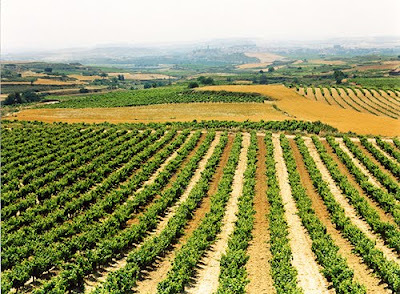 Drive among vineyards to Haro, capital of Rioja Wine, 30 minutes away from us. All over the area, on both banks of River Ebro, there are dozens of outstanding wineries that are worth visiting....from 15th century cellars to 21st hi-tech striking buildings. 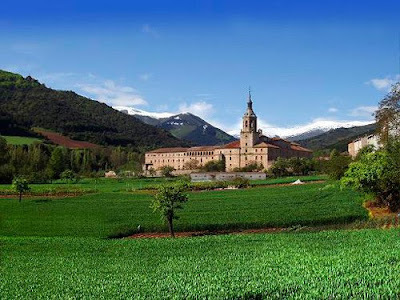 Because that area has been traditionally aristocratic and wealthy, there are lovely palaces, churches and churches in the area: Abalos, Haro, San Vicente de la Sonsierra, Briñas. 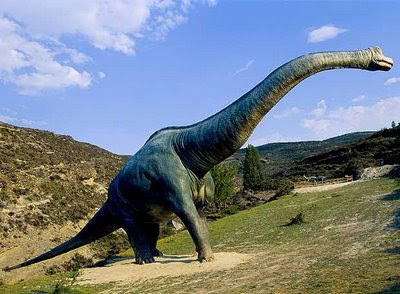 Day 4- Dinosaurs al fresco. 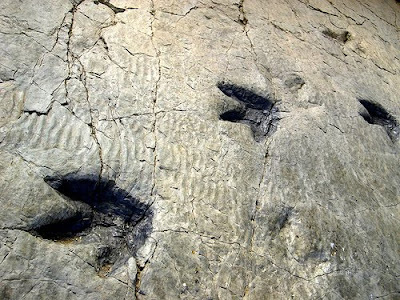 Did you know that Rioja has the biggest palaeontological site with dinosaurs' footprints IN THE WORLD? If you are travelling with children, this excursion is a must. 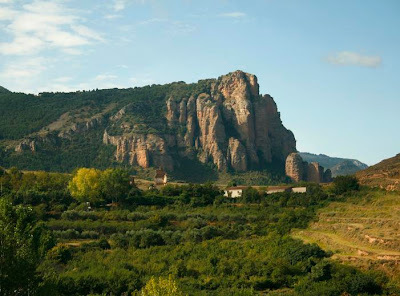 It is a full-day excursion to a series of valleys in the Eastern part of Rioja. This can be a real treat for children. 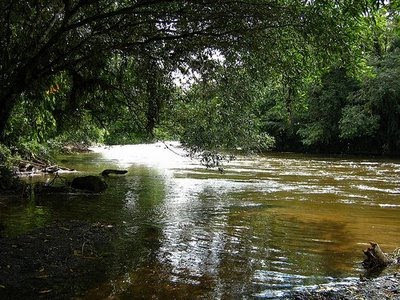 As there are hundreds of footprints scattered over several hectares, you will be provided with a map and you can discover the sites on your own. 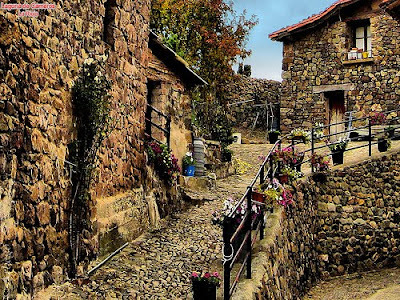 There are many nice villages in the area. Finding a place to eat (and to eat well) is also easy. Day 5- A quaint Medieval capital. 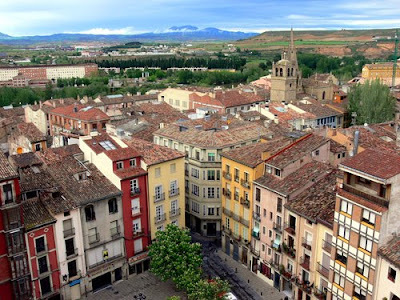 You may use this day's morning to get familiar with the city of Logroño, a small wealthy capital by river Ebro with a lovely Medieval quarter and a beatiful cathedral. 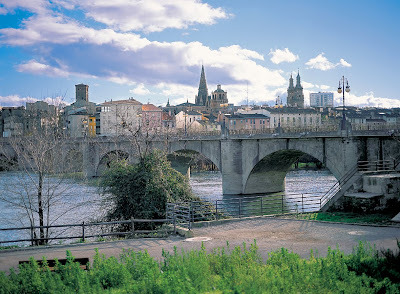 Camino de Santiago (pilgrims’ route to Santiago de Compostela) crosses the city. It is also worth visiting the food market and the small streets around, where locals meet for tapas. There are excellent choices for lunch in Logroño. 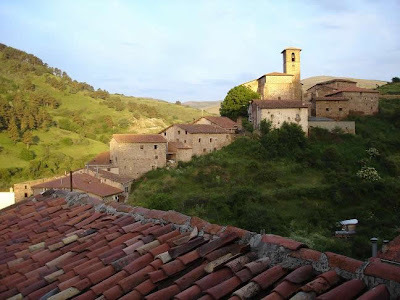 In the afternoon, visit Laguardia, a lovely fortified Medieval village just six miles South of Logroño, on the other bank of the river where Santiago Calatrava recently built a winery. (Please note: The bests spas in Northern Spain are, for some reason, in Logroño). 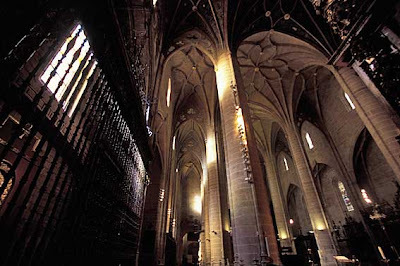 Day 6- World Heritage monasteries: the birthplace of the Spanish Language. 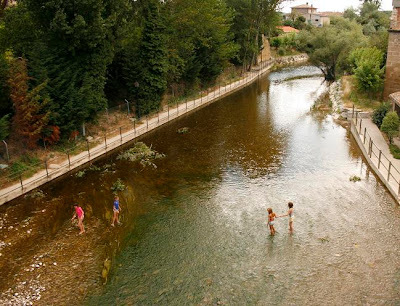 In the middle of the Cárdenas river valley sits San Millán de la Cogolla, a Rioja town founded by the saint of the same name and linked for centuries to the Pilgrim's Route to Santiago de Compostela. The deep-rooted monastic tradition of the town can be seen in the beautiful collection of historic buildings it houses, where the Monasteries of Suso and Yuso, both declared World Heritage Sites, are outstanding. The importance of San Millán de la Cogolla is also due to its status as "the cradle" of the Spanish tongue, since the first documents written in this language are preserved here. San Millán de la Cogolla is 35 minutes away from Casa Josephine. Day 7- Beach and bulls: San Sebastian and Pamplona. A full-day excursion to San Sebastián is highly recommended. It is 1h45 minutes from Casa Josephine. 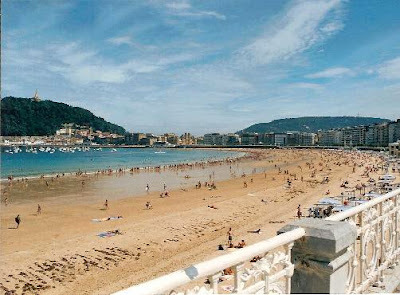 San Sebastián is a charming elegant city, with the finest beach in Northern Spain. 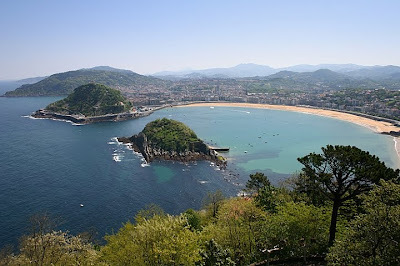 19th century aristocracy chose San Sebastian as their favourite seaside destination. 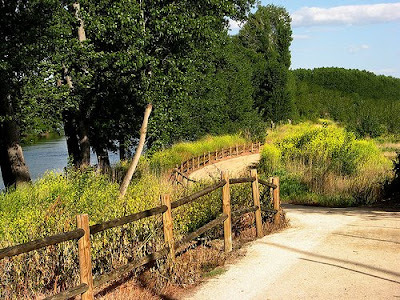 Halfway between Casa Josephine and San Sebastian is Pamplona. 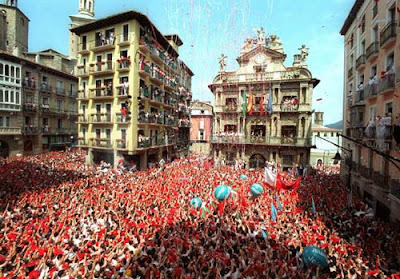 You may want to make a quick stop on the way back for an afternoon walk in downtown Pamplona, as the city will be getting ready for the big celebrations of San Fermin (beginning of July, when they do the “running of the bulls”). 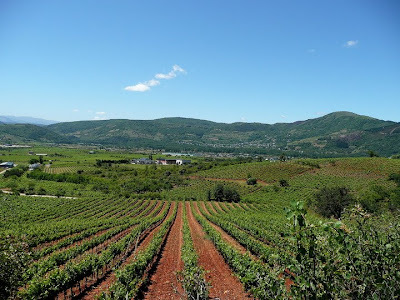 Is Rioja the new Tuscany? (The answer is yes, but you may want to keep on reading to find out why). The secret is not totally out yet, but is somehow in the air. According to trend-hunters, the discerning traveler has had enough of the touristy, market-oriented experience that Tuscany provides and is setting his/her avid eye on new European destinations. Rioja tops the list. 1- Perfect location to discover Northern Spain. 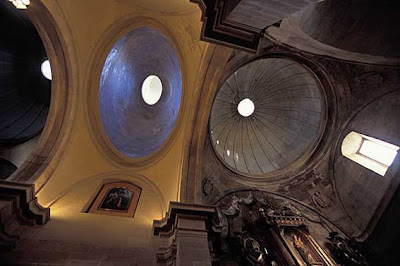 Just between Bilbao, Navarra, Castilla and Zaragoza, you are less than one hour away from some of Europe's major highlights (Guggenheim museum, Marqués de Riscal, Laguardia Burgos Cathedral, Pamplona....). 2- Most visitors are Spaniards, independent travelers, hikers or families. 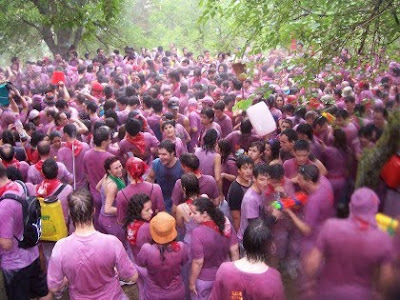 As Rioja is not on the tour companies' itineraries -and we keep our fingers crossed for it never to be-, you will not see huge buses or crowds of people being herded from monument to monument. A relief, isn't it? 4- Stunning striking modern architecture for wineries has put Rioja on the map for modern architecture lovers. In number of major works by major masters, this region is second to none in Europe. 5-Nature. Seven different valleys, one after the other, with mountain rivers that empty on big Ebro: that is Rioja. This means an amazing natural diversity, from ski resorts to fertile plains. 5- Food: several of the best restaurants in Spain are in Rioja. 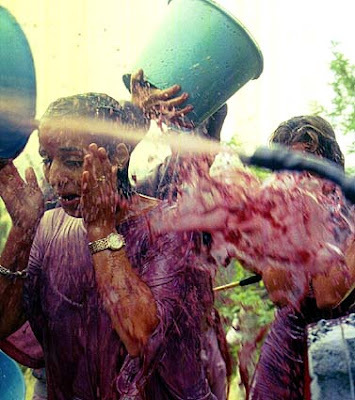 6- Wine. Do we need to say more? 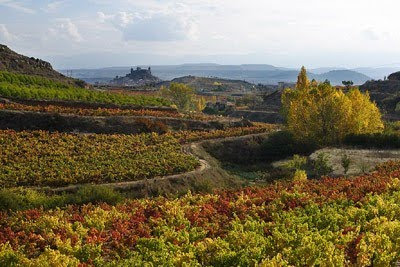 Word is going round that Rioja is to be the next secret destination. And this time -pun intended-, you did heard it through the grapevine! 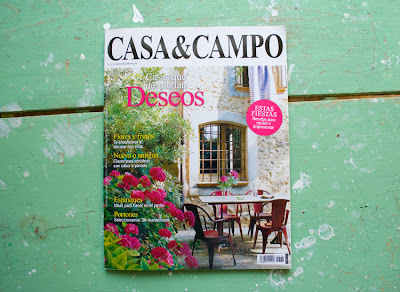 Casa & Campo, the most prestigious decoration magazine for country homes in Spain, dedicates a 10-page special to Casa Josephine in its December issue. Hei, hvordan har vi det? Hei, hvordan har vi det?" 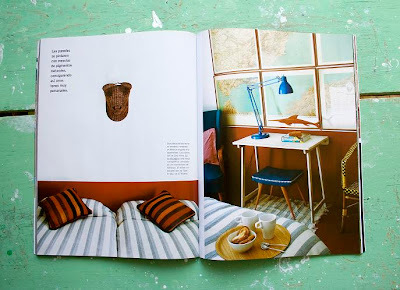 Yes, we are feeling very Norwegian lately! 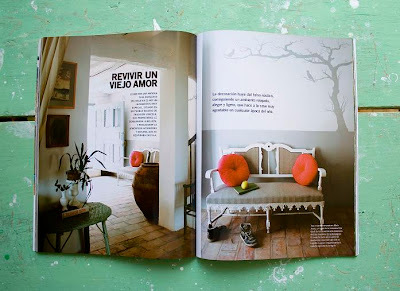 This is because Casa Josephine is recommended by Tourspain-Oslo in this month's bulletin, a magazine that is sent to travel agents, magazines and tour operators in Norway. So we are happy to say to our friends in Norway....come visit Rioja and we will greet you with a smile and a glass of tinto.